Deck the halls with parts of that zombie named Holly. 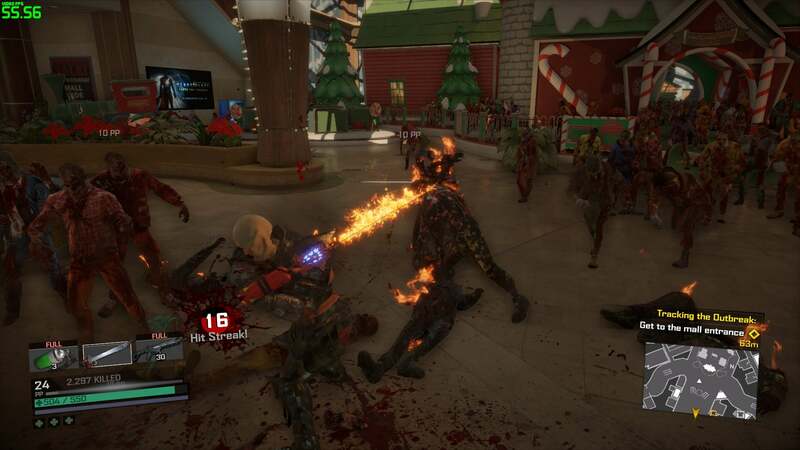 Dead Rising 4 reviews appeared yesterday, but you’d be forgiven if you thought the game was a console exclusive. 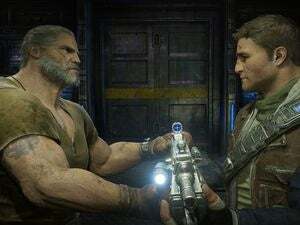 So far as I can tell nobody received access to the PC version until...well, yesterday morning. It does exist though, and it releases today on the Windows 10 Store. No, not Steam. Just the Windows 10 Store. That's not to say that the game’s bug-free. 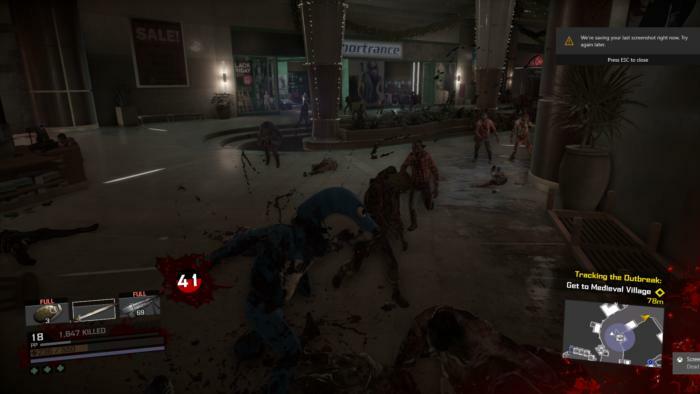 I’ve had a few weapons disappear through the floors of Willamette, Colorado’s fancy new mall, and also encountered one issue where one press of WASD would set Frank to running forever, only stopping if he was attacking something. A bit of a pain, that one, though it was solved by a restart or by using a controller. It’s another Dead Rising though, and more importantly it's another Frank West Dead Rising. 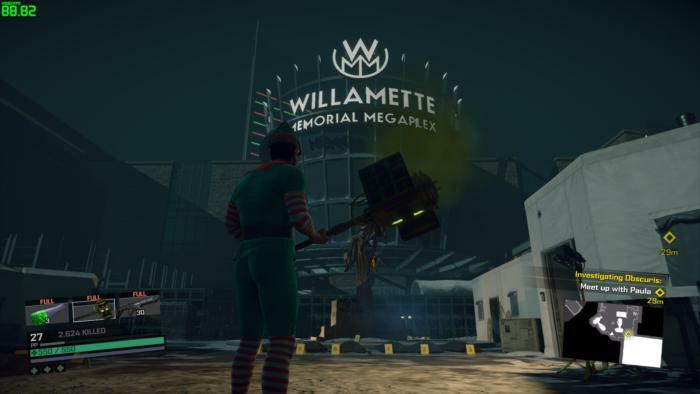 The game’s about the same as ever—kill lots of zombies with goofy weapons—but I have to say that bringing back Frank and returning the game to the theme park-style confines of a shopping mall definitely give the game something that Dead Rising 3 lacked. Which is a long-form way of saying: I’m actually having a pretty decent time. 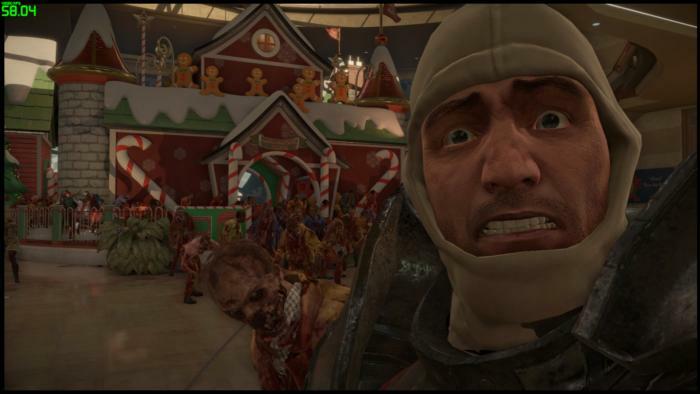 Dead Rising 4 isn't an instant classic, and much of what made the original Dead Rising unique and weird has been lost, but it’s not as boring and dour as its predecessor. Plus it’s set at Christmas time, which means you can run around like a weird elf. We’ll (probably) have a lengthier review sometime soon, once I’ve made my way through most of the game. For now, suffice it to say that it runs fine—if you’re willing to take the plunge into the Windows Store, of course. Otherwise, cross your fingers for that Steam release.